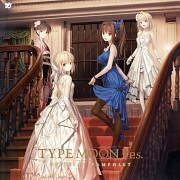 Tagged under TYPE-MOON, J.C. Staff, Series, Games. Shiki Tohno was severely injured in a large accident in his childhood. After miraculously surviving the event, he was sent away from the family to recuperate. As a result of the injury, he is now able to see "life lines" on objects and people which, when cut, will destroy them. After years away from home, Shiki moves back following the death of the head of the Tohno family. While walking home from school, he meets a beautiful woman whom he is inexplicably drawn to kill. At firs he thinks her murder was all just a nightmare - until she reappears in front of him. It turns out the woman is Arcueid Brunestud, and a vampire princess! She promptly recruits Shiki afterwards to help fight Roa, the antagonist vampire currently on a killing spree. Is it wrong to shed manly tears over such a beautiful game? I believe not , Tsukihime is like a roller-coaster ride , tossing you into tears , fear , anguish and pain. In deep contrast to it's spin-off , Fate/Stay Night - Tsukihime is no where near the levels of epic in terms of plotline standards. But it does bear one thing which Fate/Stay Night never had - a deep , saddening beauty which enshrouds itself - no , a strange , soft happiness but also a deep sadness which grips firmly upon it's plotline. Pretty engaging series and I liked it very much, some ppl give this anime too much hate with their BS that it doesn't exist IMHO. It's much more enjoyable than *cough* Rewrite's TV anime *cough*. I like the characters and the story is really good, it's sad that there's not much love for this series due too all the Fate frenzy and the unwarranted "it doesn't exist" BS, that kind of sentiment lacks merit. There's a number of anime I hate, but I won't sweep them under the rug saying "they don't exist" and offer a reasonable opinion. I'd say my favorite female character is Akiha Tohno because she's so beautiful and elegant, Shizuka Ito's performance is truly fantastic. I love the ED song by Fumiko Orikasa, she's such a talented seiyuu and I love her performance as Ciel. Another character performance I like is Kana Ueda's as Kohaku, she's so cute as the character. The romance between Shiki and Arcueid was beautiful and well developed, so much better than Fate's Shirou w/ Saber or Rin as the TV series had Shiki and Arcueid take an intimate step in their relationship and it felt real. Arcueid herself as an individual has more interesting qualities than Saber, Hitomi Nabatame did a fantastic job in the role and brought out her charming personality very well. I definitely think that ufotable needs to reboot this series to give the love this franchise needs. This anime is to short, don't move enought, and not really easy to understand. The novel is really better ! Saw until the part where Arcueid goes to Shiki's school, and stop. No, it's not because it's no good, but I don't get the chance to watch the next episode. XD I didn't have enough of the anime to make me write a full comment about it. I love the Ending theme, 'Rinne no hate...' something?
? 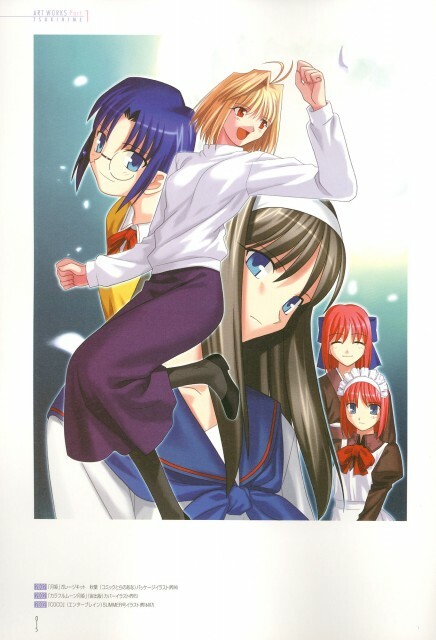 "Shingetsutan Tsukihime", in spite of a slowly developed story it wasn't bad at all.then again it wasn't so good either.the concept of "seeing the lines of death" was quite awesome & the revolving relationship between Shiki & Arcuid was nice too.the ending is very similar 2 Fate/Stay Night (comparatively Fate/Stay Night is better),may b bcoz they r both 4m the same production,Type-Moon.overall,not a complete waste of time & was worth watching. interesting perspective of vampire. characters' relationships complex but story layout allows us to explore their complexity through the eyes of our main male lead. seiyuu strong performance. felt however, more characters could be developed in the span of anime. Fantasy/Drama. A certain boy is hospitalized and sees lines of death. He then meets a vampire and takes place then. Anime is horrible compared to the visual novel. Melty blood and Kagetsu Touya are sequals, play Melty Blood game.